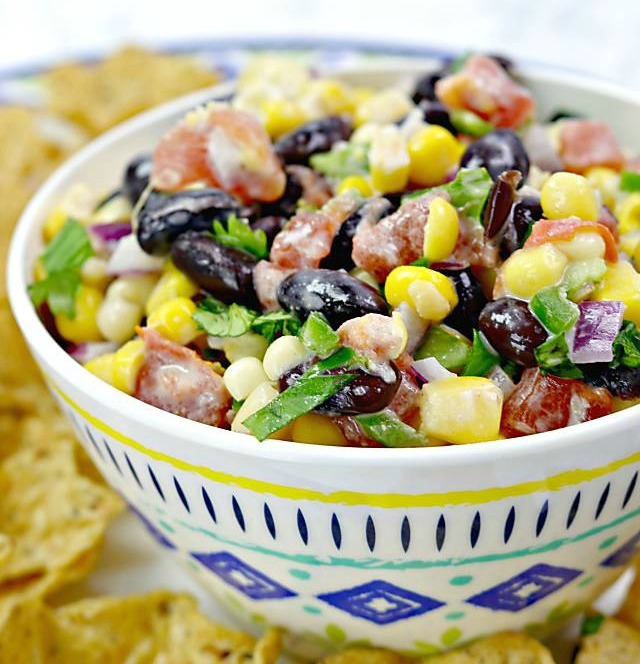 This Corn and Black Bean Salsa Recipe is going to knock your socks off! The best part? It only takes minutes to make, and it will feed an army of friends or family! What’s in Corn and Black Bean Salsa? Be sure to drain your black beans and rinse them well before adding to the salsa! Note: Rinse your cilantro really well too…it can be a bit sandy. Start by rinsing and draining the black beans. Drain the corn as well. 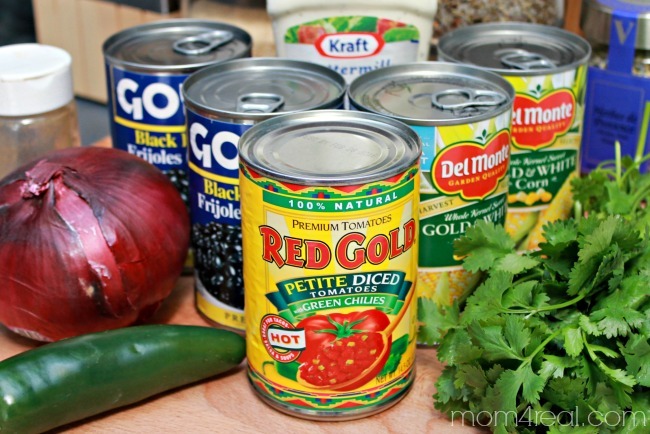 Add all of the canned ingredients to a large bowl. Next, add all of the fresh ingredients. Finally, add the ranch dressing. Stir together and store in the refrigerator until ready to serve! 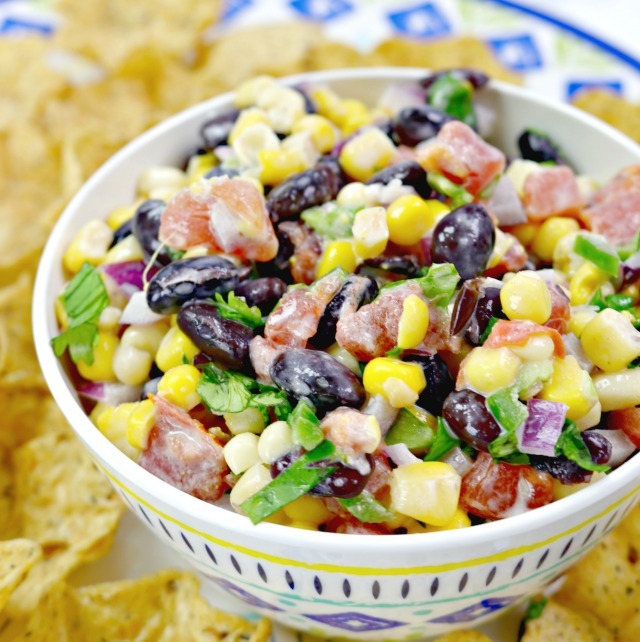 Serve with your favorite tortilla chips or add to tacos, salads or on top of fish or chicken! 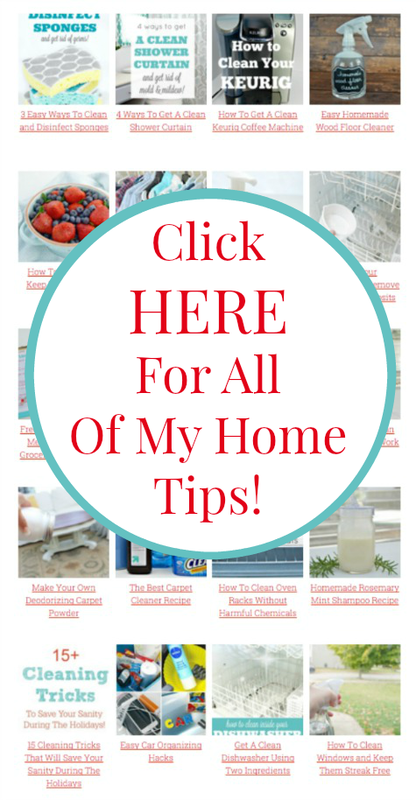 Be sure to check out my home tips page for tons of cooking tips, cleaning hacks and ideas for your home HERE of my Home Tips Page! In the picture, it looks like you have chopped a red bell pepper? Or is that the tomato? I’ve made this once before and I thought I added a red bell pepper and now don’t see it in the ingredient list. Maybe I’m making it up?! Either way, it was delicious and I am looking forward to making it again this weekend! 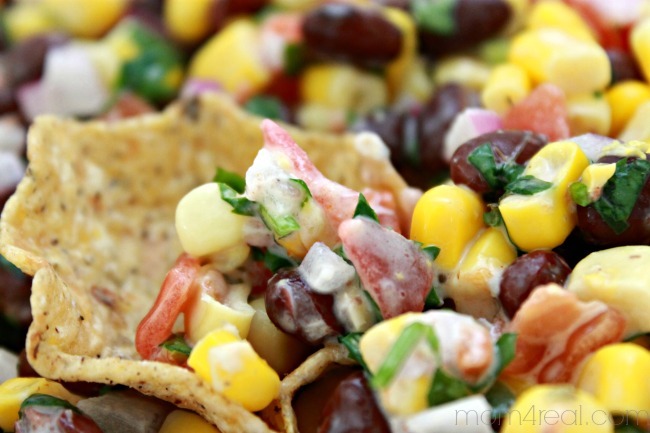 Love these easy to put together salsa recipes! This one looks delish and I’ll be making it soon! Looks great, I can’t wait to try it. I pinned. This looks so good! This will be perfect for our time at the beach this week and for football game day!! This looks so fresh and tasty! I’ve never made anything other than a “regular” salsa before but I am going to give this a try for the upcoming football season. My guys will love it.